AMIDST reports of Indian carriers Jet and IndiGo opting out of the Air India's disinvestment process, four major international airlines — including British Airways, Lufthansa and Singapore Airlines — are showing interest in Air India’s disinvestment. has a stake in an Indian carrier and marrying the Maharaja could mean divorcing its partner. The report adds the foreign carriers are in talks with Indian business houses to meet the criterion of “substantial ownership and control”. A foreign airline can have a joint venture in India provided it has a local partner with at least 51 percent stake and effective control. Foreign carriers forming a consortium to make a bid for Air India will need to fulfil this rule. The four airlines are in active consultation with the government. Among the Indian players they are in touch with to form a consortia is a medium-sized domestic airline, the report adds. The government has offered to sell 76 percent in the loss-making national carrier and will transfer a substantial chunk of its debt into a separate company. Apart from these airlines, sovereign funds are also in touch with the government, the source said. Meanwhile, the national carrier registered around 11 per cent growth in revenue, as the airline's fiscal and performance parameters were good in the last financial year, says its chief Pradeep Singh Kharola. The loss-making national carrier also recorded 80 per cent passenger load factor in 2017-18 amid the government preparing for its strategic disinvestment. Kharola on April 10 said the performance parameters of the airline had been good in the last financial year. The load factor was around 80 per cent and revenue growth was in the range of 11 per cent, he added. "... the financials are being firmed up but fiscal parameters have been good (in 2017-18)," the Chairman and Managing Director said. In 2016-17, the airline raked in total revenue of Rs 221 billion compared to Rs 206 billion in the same period a year ago, as per the annual report. About the carrier's On-Time Performance (OTP) in the last fiscal, Kharola said there has been a "marked improvement" on an year-on-year basis. On March 28, the government came out with the preliminary information memorandum for the strategic disinvestment of Air India, wherein it plans to offload 76 per cent as well as cede management control to private players. In February, the civil aviation ministry said Air India has been "consistently improving" its overall performance and more than doubled its operating profit to Rs 2.98 billion in 2016-17. During the same period, the airline's net loss widened to Rs 57.65 billion. In 2015-16, Air India had an operating profit of Rs 1.05 billion while net loss stood at Rs 38.36 billion. 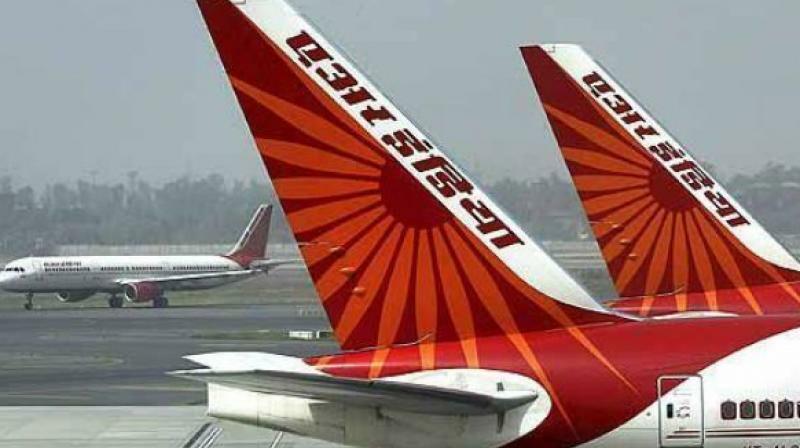 "Air India has been consistently improving its overall financial and operational performance since the implementation of the turnaround plan by the government," Minister of State for Civil Aviation Jayant Sinha had told the Lok Sabha on February 8. The previous UPA government, in 2012, had approved a turnaround plan under which Air India is to receive a total equity infusion worth Rs 302 billion up to 2021 subject to meeting certain performance thresholds. According to the preliminary information memorandum, issued on March 28, the government will retain 24 per cent stake in Air India and the winning bidder would be required to stay invested in the airline for at least three years.